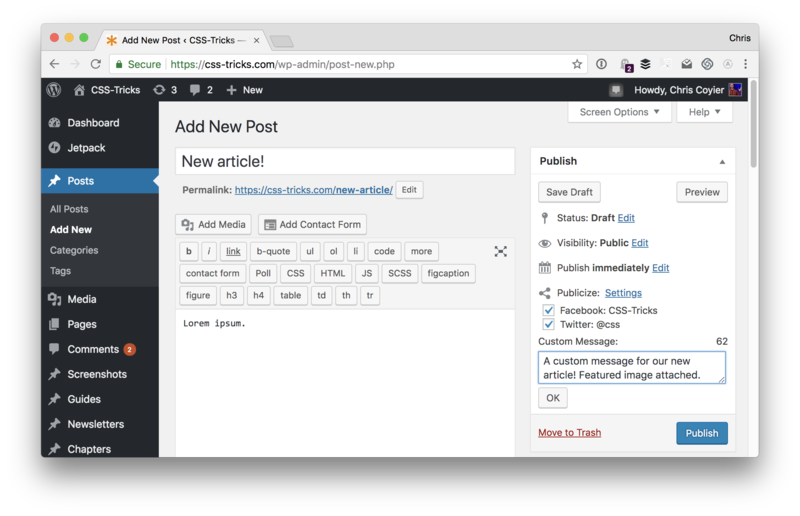 One of the many things we use Jetpack for here on CSS-Tricks is all of its features related to social media integration. 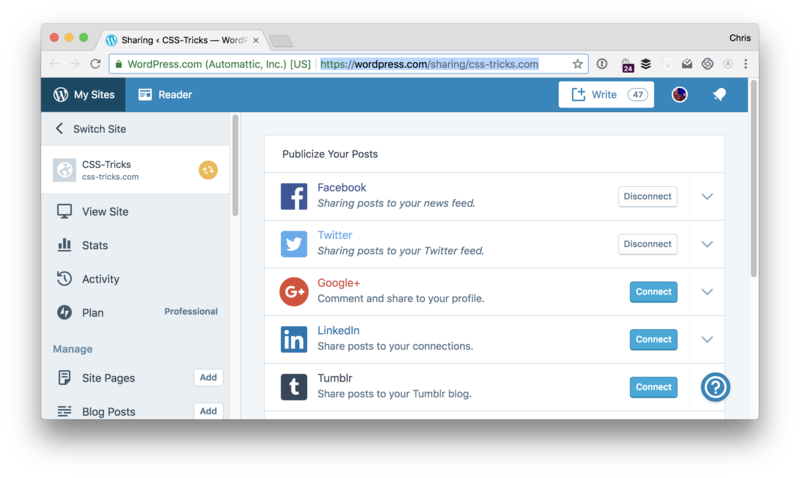 For example, Jetpack can automatically share published content to different social media accounts simultaneously, add sharing buttons to your site’s theme, and allow for social login on the comment form. There is even more than that, but let’s dig into these three as we use them. I like the idea that everything we published goes out to social media. Many people only follow the site that way, so they should see what we’re writing. We’re specifically into and . 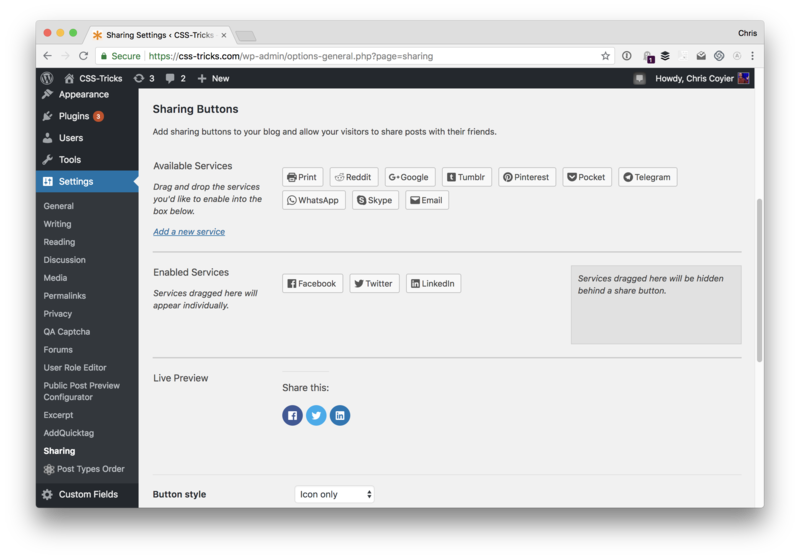 If you want to get even fancier with social sharing, you can schedule social media posts and do re-sharing through the WordPress.com interface. So much of the type-a-reaction we all do these days has super low friction. We reply to a tweet or post. 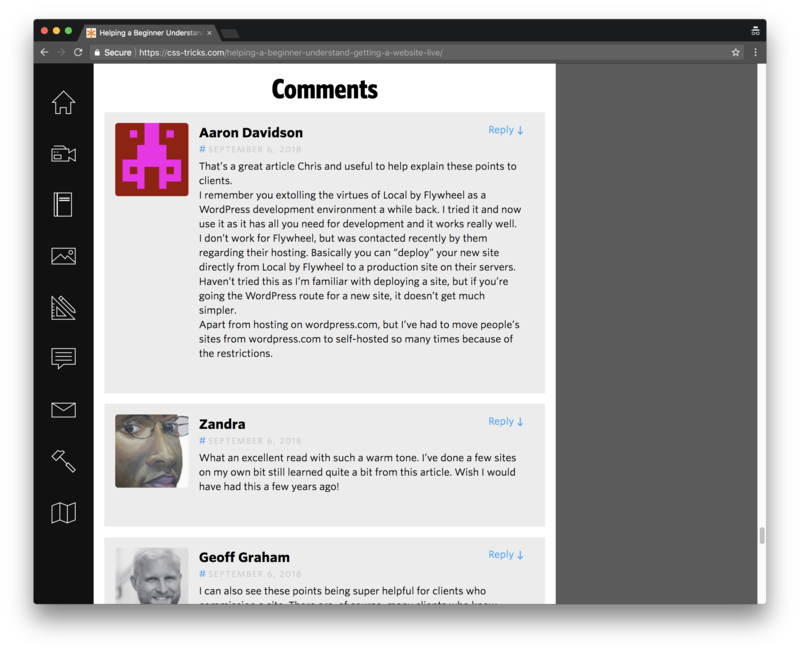 If it’s a blog post comment, a lot of times even those are powered by or a system like Disqus that has social login. Rarely do we need to manually type our name, email, and website to leave a comment. 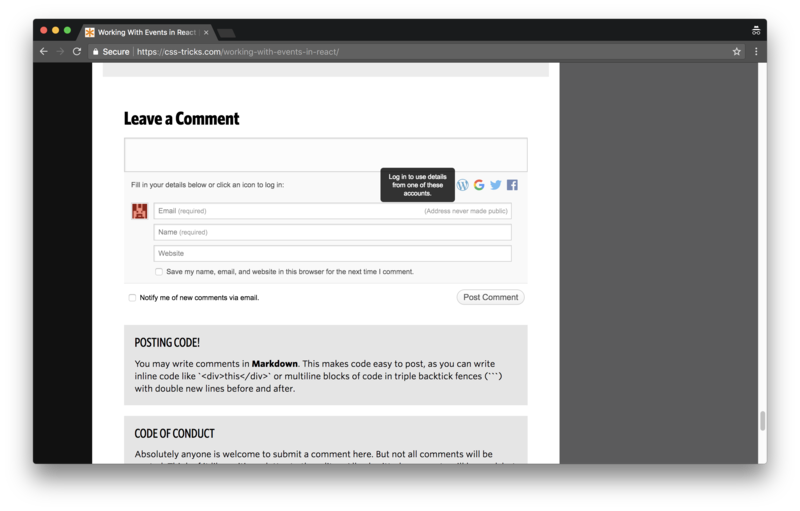 Yet that’s the default for WordPress comments. It’s great that is possible, but for increased engagement, allowing people to have a one-click social login is great for a comment form. If the user is already logged into , , Google, or WordPress.com, it is quite literally one-click and they don’t need to fill out three additional fields. Even if they aren’t, it’s likely they have a password manager or it is easier for them to type out their log in credentials quicker than it is to fill out those three fields. Yay for well managed community discussions! 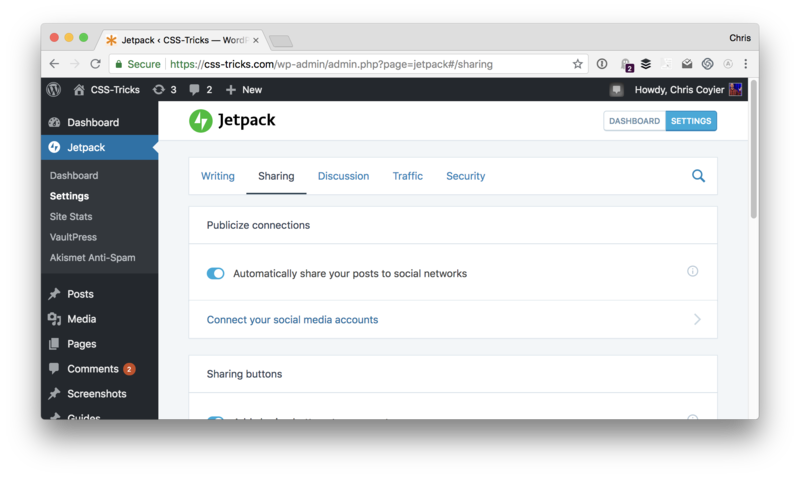 If you’re interested in learning more about Jetpack, this link is great at explaining all it offers. Plus, we go into more detail about the features we use right here on this page.